Tazewell-Mason Counties Special Education Association (TMCSEA) offers 3 Transition Programs; Secondary Transition Experience Program (STEP), Transition Services and DHS/DRS Direct Referral. 1. STEP is a work co-op program that is a partnership between TMCSEA, the high school districts, Department of Human Services/Division of Rehabilitation Services (DHS/DRS), and local employers. It is an evaluation, training and employment program that assists in preparing students with disabilities for transition to employment and optimum community participation during and after high school. This is an IEP driven program for students typically ages 16+. This is a no-cost program that is accessed through a referral from the high school. 2. 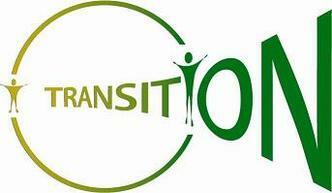 Transition Consultation Services are designed to meet the students' unique needs and prepare them for further education employment/training and independent living. Transition goals need to be included in the IEP annually starting the year a student turns 14 1/2. Our services include student observation/interview, parent/guardian interview and review of records from our Transition Specialists . An Action Plan is developed for families with timelines, contact and general information related to their individual needs regarding transition. This is a no cost program that is accessed through a Request for Services-Student Consultation from the District Level Special Education Administrator. 3. DHS/DRS Direct Referral. This is a service for students in their final year of high school that are identified as an individual with a disability, this disability interferes with their ability to obtain and maintain employment without assistance and they can benefit from Vocational Rehabilitation Services. These services include further assistance in pursuing employment, post-secondary education and training. This is done by completing a Direct Referral Transition form available in this section under schools. This is a no-cost service.